Dr. Scott Gunnell has been improving the oral health and smiles of families in Casa Grande, Mesa, and the surrounding communities in Arizona since 2000. 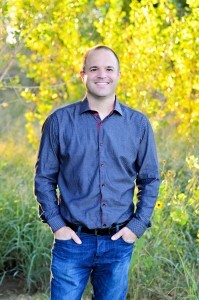 His undergraduate studies in biology and chemistry were completed at Northern Arizona University and he received his dental degree from the University of Pacific. Dr. Gunnell consistently continues his dental education through lectures, courses, and seminars in order to provide his patients with the best possible care. Always one to stay up-to-date on the latest in dentistry, Dr. Gunnell has even completed the advanced Synergy Dental Implant course to better help those who are missing teeth. His goal as a dentist has always been to provide honest, quality dental care to those in Casa Grande and the surrounding areas. When he is not working on your smile, Dr. Gunnell can often be found with his family. He and his wife Carrie have four young children. Dr. Gunnell’s spare time is often spent on home improvement projects, gardening, and raising chickens. Kathy joined our team in September of 2007. 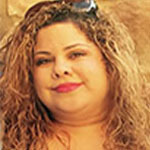 She graduated from American Career College in Anaheim, California as a medical/dental biller in 2004. As one of the bi-lingual members of our team, Kathy translates for our Spanish-speaking patients and helps them get the care that they need. Kathy loves working with the rest of the team to make each patient happy to smile again. She is also proud to work for a dentist who is honest and whose first priority is always the patient. Kathy has been married for 18 years. She and her husband have four beautiful children that keep her very busy. In her spare time, Kathy loves being with her family and going to her children’s baseball and softball games – she is their biggest cheerleader! 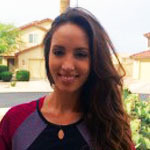 Charlotte has been assisting Dr. Gunnell at Desert Sky Dental since 2008. 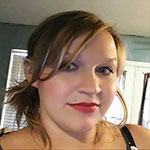 A graduate of Apollo College in Dental Assisting, Charlotte is dedicated to taking care of her patients and helping them having a comfortable and pleasant experience. She loves working in such a great atmosphere with wonderful people. In her spare time, Charlotte enjoys being with her husband and daughters. Bianca was raised in Texas and moved here to Arizona about ten years ago. She went to dental hygiene school at Rio Salado College and graduated with honors. In her spare time, she enjoys spending time with her husband and two dogs, catching up with friends, reading, road trips, and trying out new recipes in the kitchen. She injoys getting to know her patients individually in order to provide high quality dental care and strives to make them feel at home during every visit to Desert Sky Dental.